It was originally a contest composed of 5 persons in 3 batches, or so we were told. During the contest day there were actually 5 batches composed of 7 contestants each batch. Truly, the love for pizza is universal and even in Baguio City there are a lot of people who want’s a piece of the “pie”, Pizza pie that is ;-). 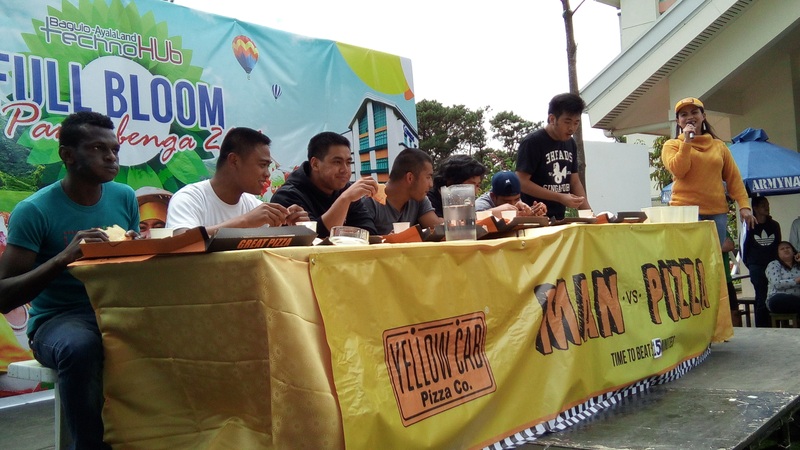 February 26, 2016 was the day when Yellowcab Pizza held their Man vs. Pizza event at the Ayala Technohub. Participants were from different parts of the Philippines and we saw some foreigners too! Some of them were in vacation in Baguio City and some are residents in the City of Pines. Because of the influx of participants, the organizers were forced to expand the number of participants from an original 15 to 35. Participants of the Man vs. Pizza contest must finish an 18-inches New Yorker pizza in the least amount of time or before the expiration of the allotted time. If all participants in a batch are not able to finish their pizza the person who have eaten most of his or her pizza will win! The winners received a 6-months supply of pizza and a Yellowcab discount card. Runners up received a box of pizza and they get to take home what was left of their New Yorker pizza. 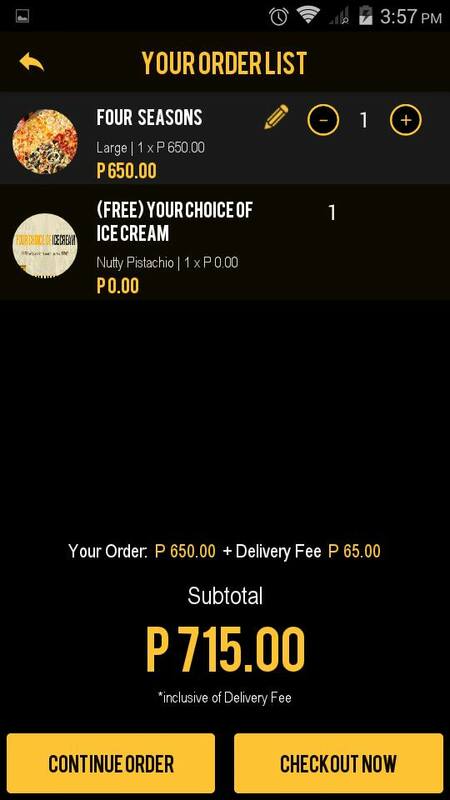 YellowCab also introduced their YellowCab app which you can use to order your favorite YellowCab pizza and other dishes. Upon downloading the app, we tried to order the four seasons pizza. Guess what, it works! 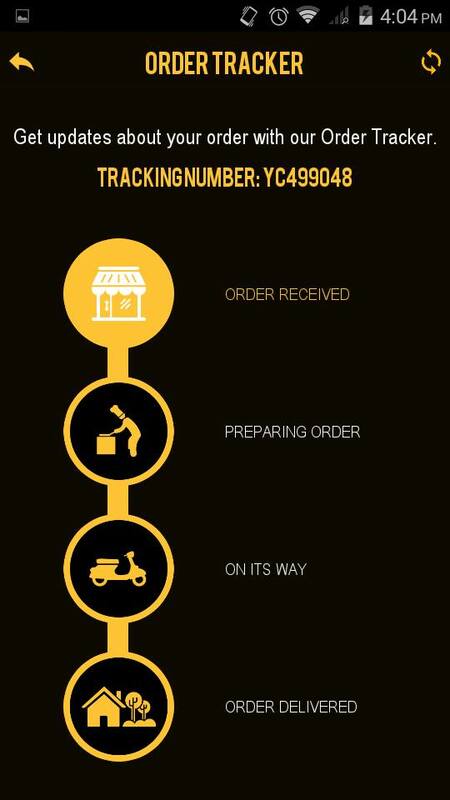 Although it took some time for the pizza to reach our office, we aren’t worried because the app actually shows you the status of your order. Using the app is perfect especially if you do not want to call up their delivery service or if you are on the go and you want to order your favorite YellowCab pizza. To download the YellowCab app visit their download page. Disclaimer: The blogger was invited to cover the Man vs. Pizza event. The pizza order via the app was paid for by the blogger.